As part of my PhD thesis work, I developed an XHTML/SVG sugar drawing tool. 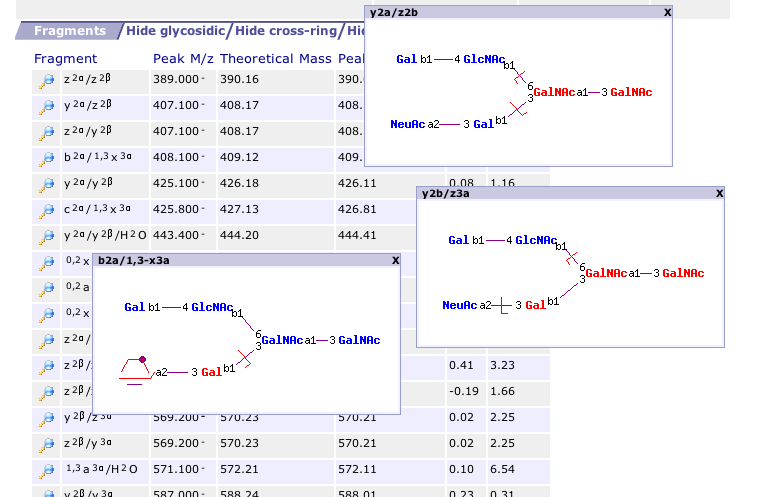 Currently, all the widgets for the input of glycans (complex carbohydrate molecules) are either not particularly user friendly, or require the use of heavyweight applets. By implementing the user interface directly in the browser, there is no waiting time for applet initialisation, and new kinds of interactions between rendered glycans and the user interface can be established. 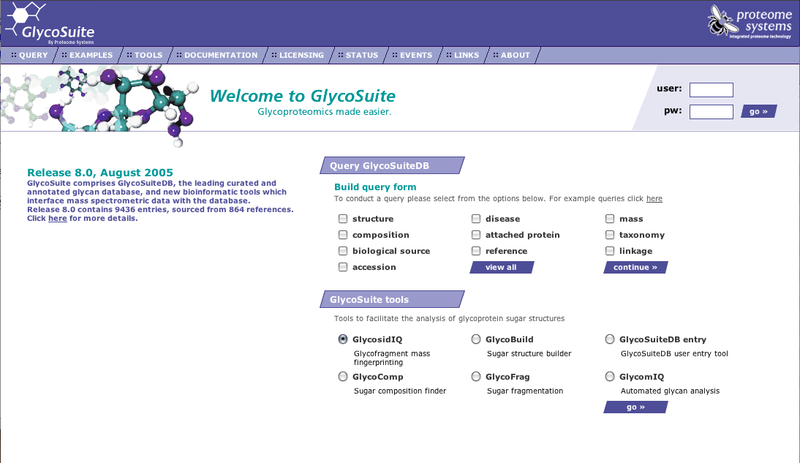 Carbohydrate/Glycan database. Complete redesign of database - replacing the existing table-based layout with a div-based layout system, and working with the designer to come up with a consistent style across the site. 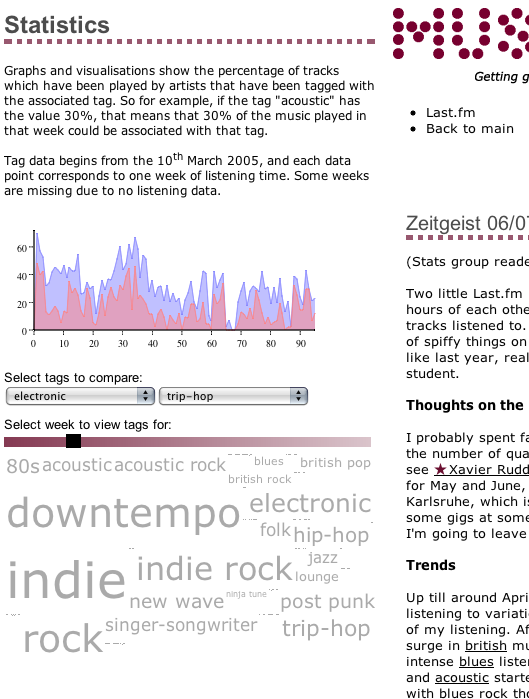 As part of the site re-launch, interactive help pages were required for several site components. The interactive help was realised as a series of help pages that linked content text with XPath identified elements on the pages requiring help. This allowed the help to work independently of changes to the actual pages. 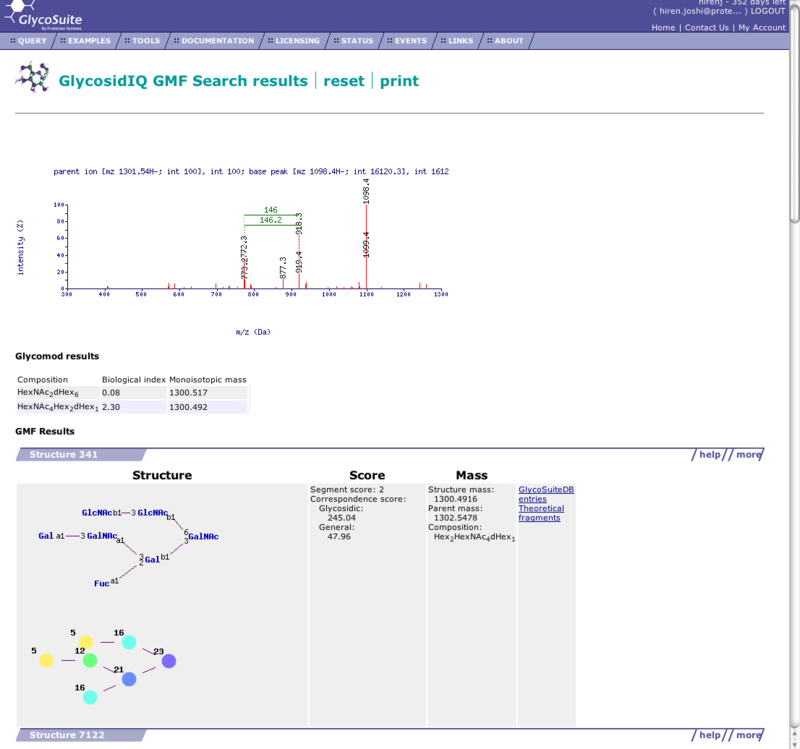 The GlycosidIQ and GlycoComp tools provided dynamic reporting pages using various DHTML techniques. Reports featured filtered and sortable tables, as well as the ability to generate Microsoft Word documents as editable reports.